It may not be a total surprise that I am proposing this amendment. We have been here before and I have deluded myself into believing that something was going to happen. While I am aware that the Council is currently thinking of undertaking an assessment of play facilities, I do not consider that to be a case for yet further delay. The tired and unacceptable state of the play areas are obvious and require no assessment. They demand urgent action, not more delays. What people see around them carries a message. Does our Council really care? The state of these play areas suggests it does not. Is that what members feel when they look at some of the sites listed by us. This has a lot to do with what we mean by regeneration. In our view, regeneration is not just big projects. 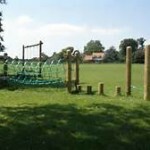 It is also about open space enhancement and decent play areas for our children. That is why we have no qualms about using the regeneration fund to benefit our local communities. In the budget report that is a £600K gap between the anticipated New Homes Bonus fund and the amount going into the base budget. £100 K is allocated to the Communities Fund and Swale Community Leisure. That leaves £500K plus the £300 already in the fund. I appreciate the caution that the Council has about future finances but total reserves of £15 million on a budget requirement of £15 million is a little bit too robust. It is not OUR MONEY. It belongs to the Swale Community and we are asking for our local people to see some benefit from it. Members will see where we wish to allocate resources and will judge whether they wish to deny their residents this much needed intervention. Let’s get on with this. If necessary, we could put up a few “It’s Here” signs too. A couple of weeks ago the Policy Review Panel looked at the Corporate Plan. I could not believe it had no reference to tackling homelessness and I hope this will be rectified. But it conveyed a message. We believe that there is both an ethical case for our proposal but also a fiscal one. The number of households in various forms of temporary accommodation has now risen to 93. Some are families, others are single people, often very vulnerable and prone to serious mental health problems. For families it is a traumatic experience to be consigned to out of borough bed and breakfast accommodation. It is hard to understand exactly how much damage this does. It really is time to act more urgently and with greater compassion. Just over a year ago the then Cabinet received a report on emergency homeless accommodation. It indicated that for a capital investment of £180K the Council will realise a saving of £18,500 a year, something in the region of a 10% return on capital. This is based on our Housing Department making the best use of those properties. We would also expect the properties to hold their equity, or much more likely achieve a capital growth. I am sorry, but we regard this as a no brainer. What is holding us back?